pure. life - affirming exhilaration! never flat ...unless you ask for it! 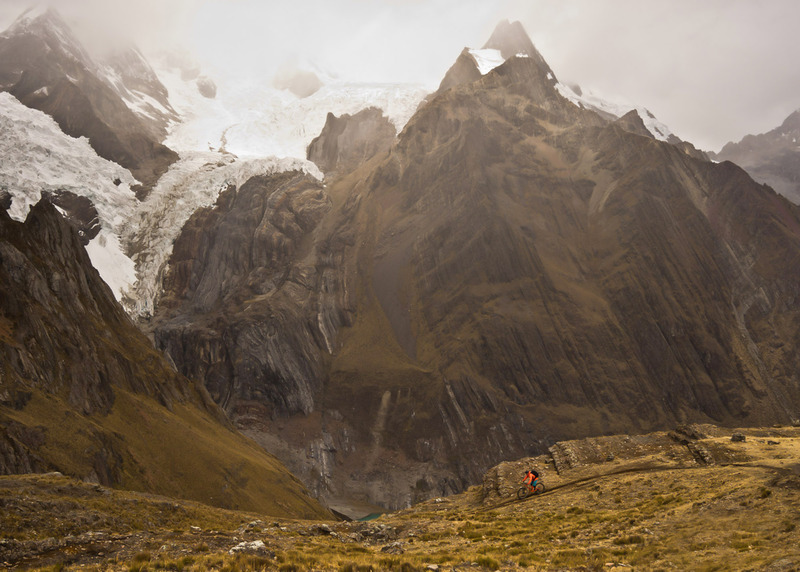 Peru's Cordillera Blanca offers some of the most challenging and scenic routes in the entire country! 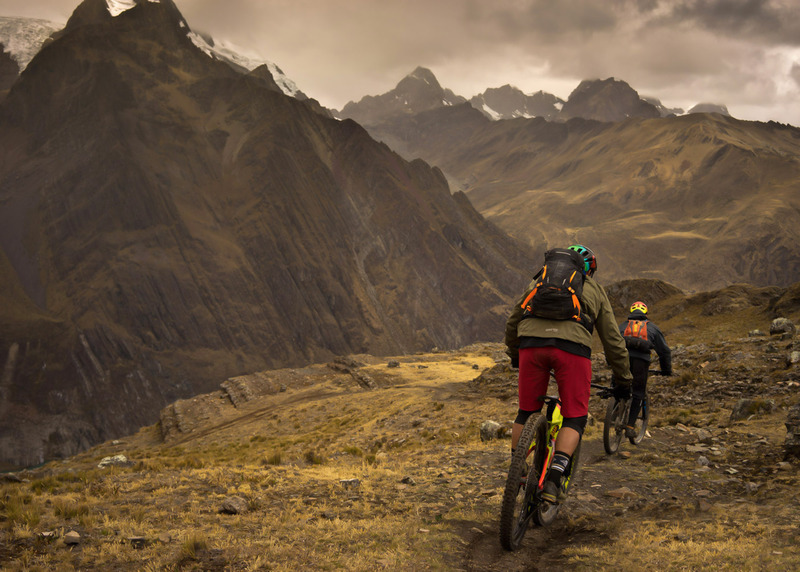 These mountain biking adventures go along valleys, flanked by the imposing peaks of Nevado Huascarán, Chopicalqui, Chacraraju, Ulta, Huandoy among others. You will experience the numerous trails and dirt roads that wind through the range, passing over 4,950 meters (15,150ft). You can imagine the awe - inspiring views these heights offer, all the way down to the lush valleys. You will see crystal clear lakes, such as the famous Llanganuco lakes. You will also be enriched by riding through the rural Andean countryside and see how traditional lifestyles still remain amongst the villages. Thousands have enjoyed this unique experience and I hope that you may want to share the same..
Hola! 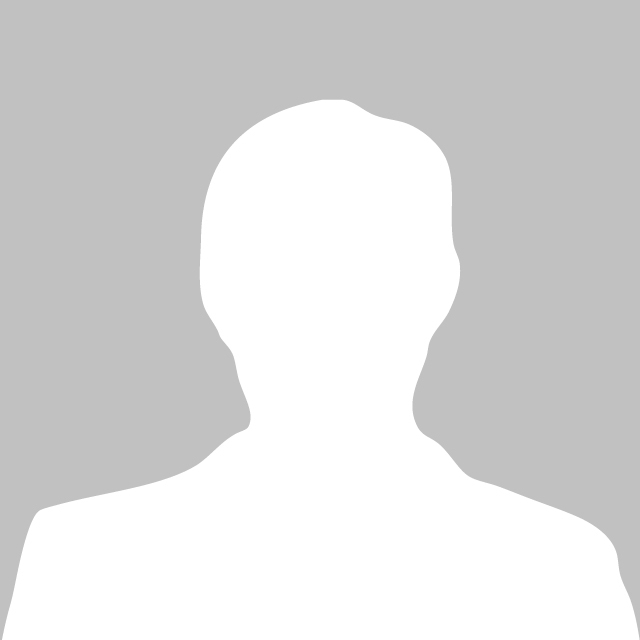 my name is Julio Olaza. I was born and raised in Huaraz and began exploring the Cordillera Blanca as a boy. In the 1980's, I worked organizing trekking groups and ran the Tasco Bar, the local Mecca for gringos, travelers resting between trips to the mountains. I really understand the type of service that foreign visitors are looking for. 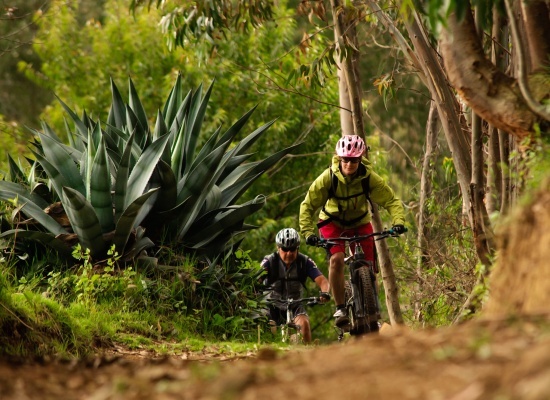 I specialize in bringing people up-close to the Andes through mountain biking. I'm an enthusiastic mountain biker and like nothing better than showing off my beautiful homeland. After a couple of years in the U.S., where I traveled extensively (trekking, biking, and visiting good friends I knew from Huaraz, etc. ), I decided to make one of my long-term dreams come true: to start up a business in mountain biking. 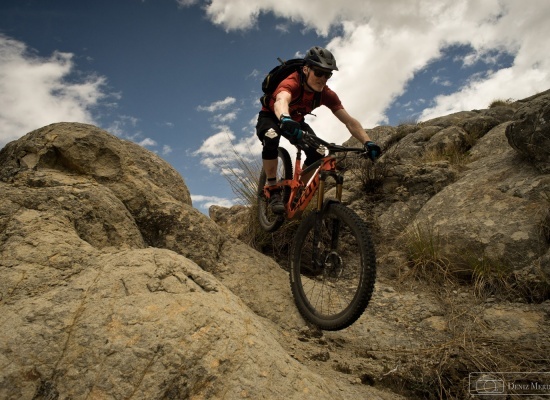 Because I was already familiar with the region around Huaraz, I knew that there were great possibilities for all types of biking in terms of technical difficulty, single tracks, uphills, etc. Since then, I've explored the surrounding areas for much larger circuits in the Cordillera, especially in the Huascaran National Park. I'm proud to say that I've basically pioneered the sport here. 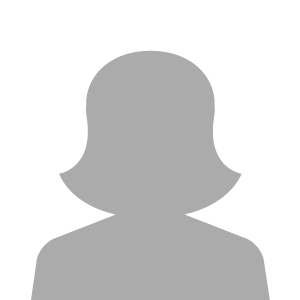 I have been recommended in all the guide books and many world wide magazines have written articles about me and MOUNTAIN BIKE ADVENTURES. My son and I went with Julio on a mountain bike trip around Huascaran and it was absolutely incredible. Single tracking through Inca villages, going through spectacular mountain passes and the final day, starting at 16,500 ft, and screaming down switchbacks for 45 km trying to keep up with my son….it was amazing! Julio and his support team made the trip something my son and I will talk about forever. Thank you! Our experience was one of the most memorable of my life and I would recommend it to anyone looking for a unique adventure. 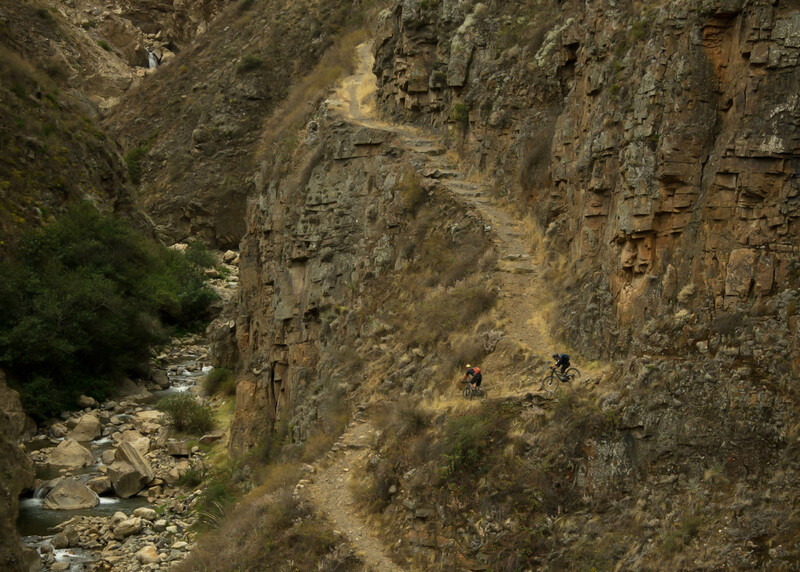 The opportunity to ride through a remote region of the Andes, a place seldom travelled by other cyclists, still exists. There aren’t too many places you can ride a bike to 16,000 feet! The area around Huaraz is packed with al kinds of tracks. Some are easy to bike, some are very steep. For a visitor it´s hard to decide where to go because the choices are many. 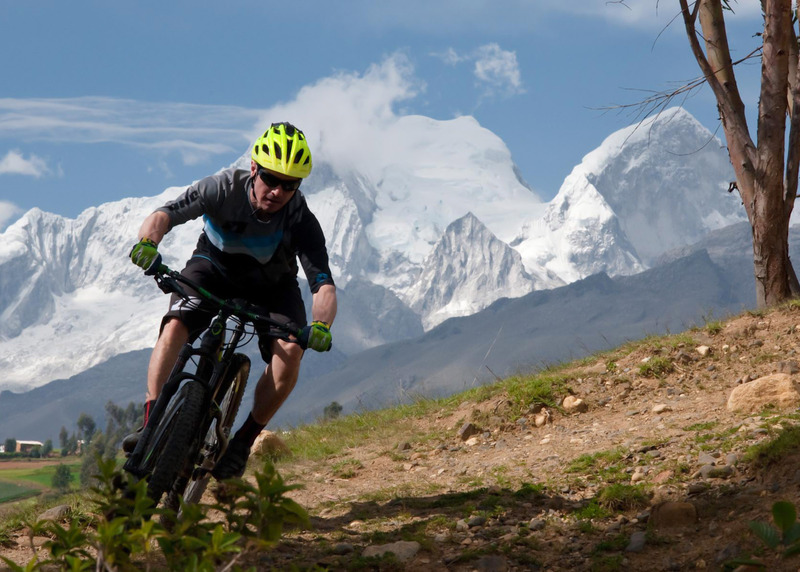 Julio Olaza, mountainbike expert in Huaraz, knows exactly where you can go. He offers good advice and knows the area by heart. So…check him out”. 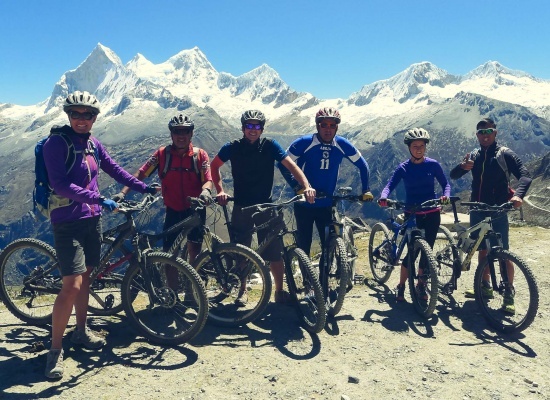 An adventure not to be missed, no where in the world can one mountain bike amongst 20,000 foot mountains and feel if you could almost touch their summits. 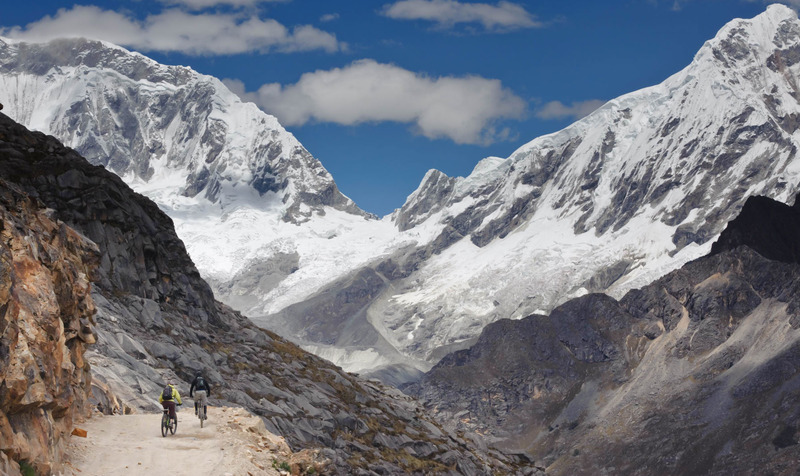 The bicycling in the Cordillera Blanca is fantastic, a challenge for every ability. Julio was a fantastic guide and made sure that every member of the trip was able to ride at a level that was comfortable for them. Peru, a country full of color, history and wonderful people. My ride with Julio in the Cordillera Negra was a great way to end my adventure in Peru. Beautiful vistas of Huaraz and the Cordillera Blanca, plenty of opportunity to challenge myself on the bike, or to just take it easy. Julio’s kind and enthusiastic company was certainly a highpoint of my travels in Peru.